June 29 has snuck up on my like a…I don’t know. Something sneaky. But here it is! Just two days away. I’ve had such an incredible seven months of celebrating with our friends and families. Jonathan and I are so blessed and supported…there just aren’t even words to describe. 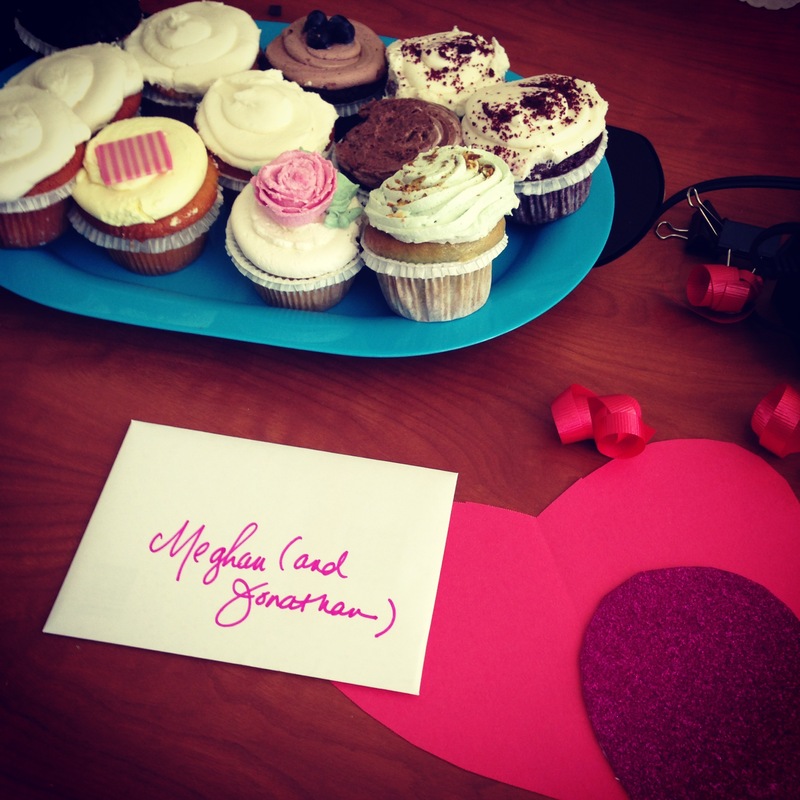 Even my new coworkers surprised me with insane cupcakes and a sweet card and gift! So in these final days, I’m pulling together just a few final details. I’m not stressed – just excited but not wanting to wish any of it away. I plan to relax and enjoy every moment with my girlfriends, my family, and my (almost) HUSBAND. If you are reading this AND attending our wedding (mom) be ready to use #JMrussell on instagram all night. We would really love for everyone, including us, to be able to catch a nice glimpse of the night the next day. 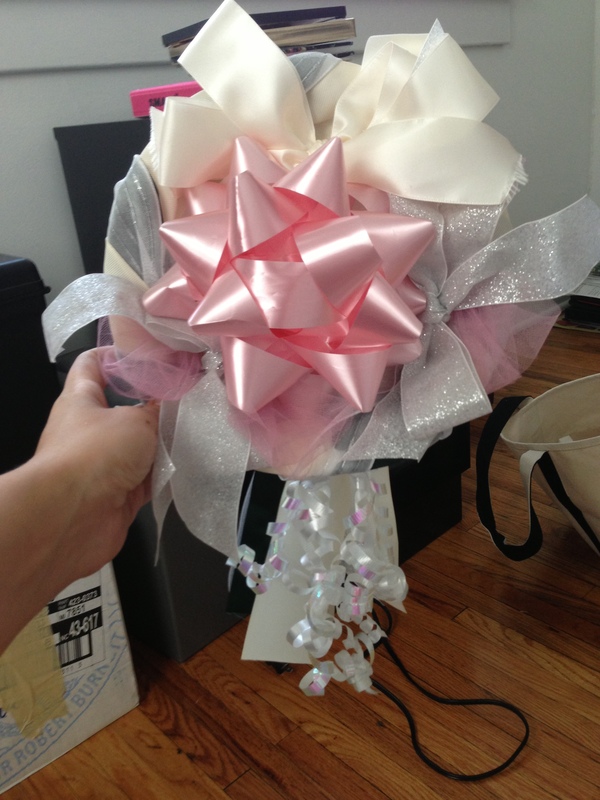 I put together my ribbon bouquet from the multitude of shower gift ribbons. 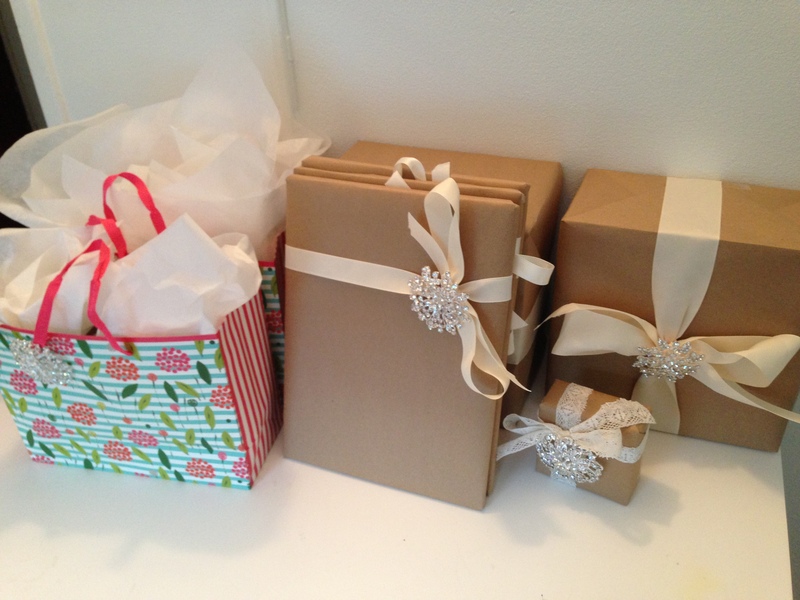 I wrapped presents for our bridal party and parents (all of which I am PUMPED to give. I think we did good).